Instructors hold primary responsibility for the implementation and development of The Goodwill Excel Center curriculum and the success of its students. We seek teachers who are committed to continuously improving curriculum and instruction through collaboration as part of a team. 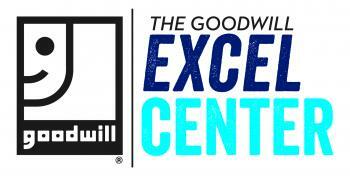 The Teacher will facilitate learning for students attending The Goodwill Excel Center. The Teacher employs a student-centered approach, effectively tailoring the instructional strategies to the individual students’ needs and approaching instruction with grit, creativity, and innovation. Strategies may include but are not limited to direct instruction, one-on-one instruction, seminars, small group learning, self-paced lessons, blended learning and courses, and online learning tools. Instructors employ high impact instructional practices and motivational techniques. The position will work with the instructional team in meeting the educational objectives and adhering to the Texas Essential Knowledge and Skills standards. • Implement curricula and activities to meet academic standards. • Build lessons around student needs including relevant online learning tools and content support using research-based practices. • Ensure that students master Texas Essential Knowledge and Skills. • Design and implement assessments that measure progress towards academic standards both summatively and formatively using traditional as well as alternative assessment techniques. • Track and analyze classroom data. • Use attendance and assessment data to refine curriculum and inform instructional practices to achieve learning goals. • Utilize data from classroom assessments and standardized test results to guide instruction. • Build and shape instruction around student needs. • Focus constantly on student learning by thinking critically and strategically to respond to specific student learning needs across ability levels. • Participate in collaborative curriculum development, grade/ability-level activities, and school-wide functions aimed at improving student retention, productivity, school culture, and new student orientation. • Communicate student progress effectively with students and colleagues. • Collaborate with Coaches, Lead Teachers, Coordinators, Head of School, and other colleagues to support student success and progress toward graduation and post-secondary planning. • Attend all team and professional development meetings. • Develop expertise through creating and maintaining an individual growth plan. • Work an extended school year: 222 day work year in 2014-2015 (194 student days and 28 professional development/staff days); 2015-2016 school calendar not yet finalized. • Assist school team with outreach efforts and community integration events throughout the school year (periodically at nights and on weekends). • Possess the essential mindset that all students can achieve at high levels. • Drive to improve the outcomes and lives of students in and out of the classroom. • Current Texas Teaching Certification in subject specialty. Proven record of results that illustrates the teacher’s ability to increase student achievement utilizing subject-specific instructional strategies. • Portfolio and a classroom demonstration showing instructional excellence. • Dual license highly preferred: ENL endorsement or Special Education endorsement. • Ability (license/experience) to manage and/or support a small special education caseload. • Ability (license/experience) to manage and/or support English Language Learners. • Bi-lingual in Spanish and English. • Experience working with high school age students in urban, non-traditional, and/or adult education setting. We are proud to be an EEO/AA employer minority/female/disability/vet. We maintain a drug-free workplace and perform pre-employment substance abuse testing.